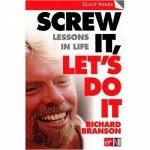 This is a great book on EXECUTION by Richard Branson. He has not written this to make money, just to share his determination and perhaps take the fear out. Extremely motivating when you realize he started with nothing and has almost lost everything a few times. I feel he wants everyone to know that we all have the underlining fear of failure but we must get past that to succeed. 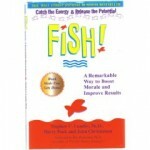 How to get it back and live; This is a great book by Gary Bertwistle. These are the essential keys for getting you back on track and firing on all cylinders! It is that spark, that bit of extra energy, the difference between a good day and a great day. This great little book will help you love the work you do – even if you can’t always do work that you love. This is a brilliant true story about workplace morale, how you can change it and the importance of doing so. The benefits are endless. This book is just that.. Individual ideas from leading properous people both now and historically. Even if you just take 1 of these ideas and put it to some use you will benefit from it and enjoy doing so. Attract It, Create It, Manage It, Share It.